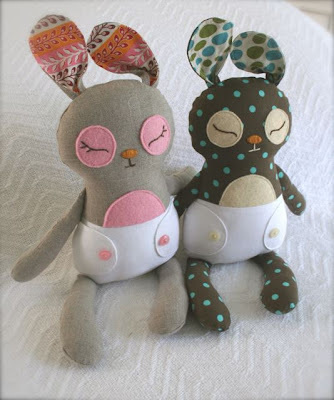 These sleepy bunnies and their binkies (and the PDF pattern) are done at last. Looking at them snooze along sure makes me want to take a nap. Or maybe that is because I stayed up embarrassingly late to finish the little darlins. Hm. But, I'm so pleased with how they turned out. It was fun to be able to use some of the vast library of charm squares I have accumulated. I think I could get seriously addicted to patchwork. And to linen. I loved the texture, weight and feel of it on this project. 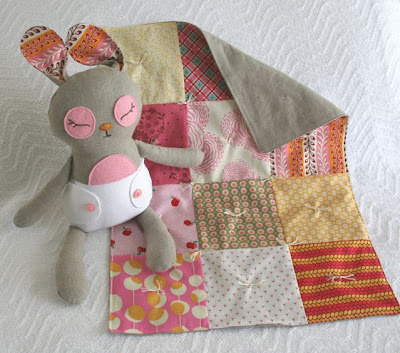 The binky has no batting, binding or actual quilting, so there's all the fun of a patchwork blankie without the more time-consuming finishing of a quilt. It is held together with sweet old-fashioned ties. Bunny has a yarn pom-pom for a tail, and plenty of room to embroider a name (and maybe a birthdate and stats) on the back of the diaper. They like to nap in baskets too. Preferably nestled in with some grass for cushion and perhaps a bunch of Cadbury eggs, in case they get hungry. You can see in this shot that the ears can be tacked together, or left loose and flopsy. 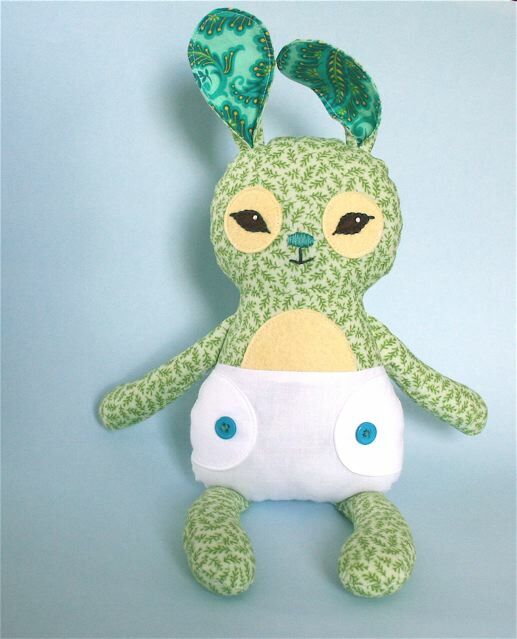 If you'd like to make a Baby Binky Bunny, please visit my shop to get the pattern. The same pattern makes boy or girl bunnies, depending on the fabrics you choose and whether or not the bunny gets eyelashes. There's no need for you to have a vast library of charm squares for this project. The binky would be just as charming with a two-fabric checkerboard pattern. 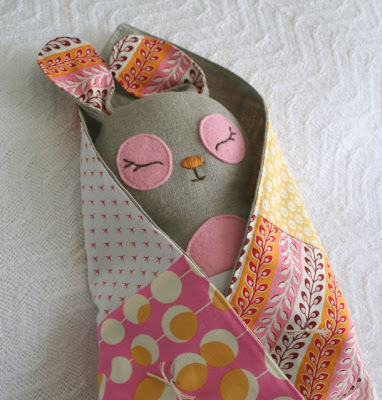 If you'd prefer your bunny to be awake, I've included an alternate face in the pattern with open eyes and a little smile. 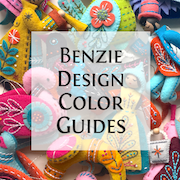 The PDF pattern includes materials list, pattern pieces at full size for the bunny and binky, detailed instructions, and lots of clearly drawn diagrams. I confess I have a strange love of drawing diagrams. 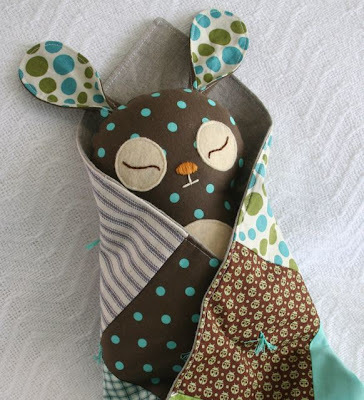 Late Note: There is also now a Bib & Booties accessories pattern for the Baby Binky Bunny, available in the shop. This is just about the cutest bunny Softie ive ever seen. 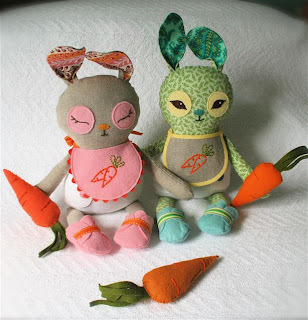 Thank you so much for sharing the pattern, im going to make one for myself and one for my real bunny! The sleeping faces are just gorgeous! Larissa, you have such a wonderful talent for making great and preciuos softies!! 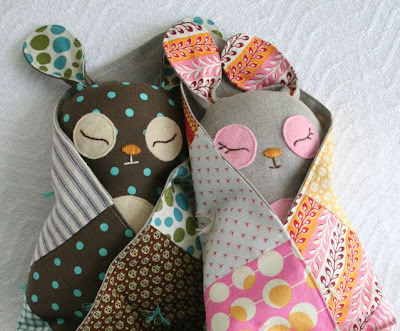 The bunnies are adorable and the little blankie just finishes it of perfectly. Oh my, how excruciatingly cute! I love elove it!! Absolutely ADORABLE!!! Great job of photographing, too! They turned out completely precious! Fabulous job, as always! They are tooo cute. Makes me want to snuggle up and take a nap too! You have outdone yourself, Larissa! I hope that you sell a ton of these... and I know you will! These are amazing! 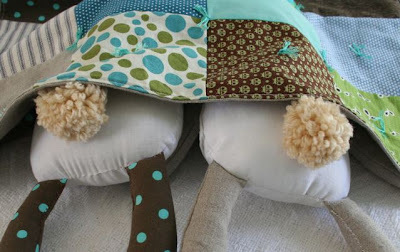 How much fabric did you use for the bunny boddies? I'd love to buy the pattern but that would exceed my sewing budget for a while... and I don't have too much of a stash! Well done! !My baby needs one of these for easter! I have been eagerly checking back for your little bunnies. They are way too cute. I just purchased the pattern and can't wait to make a few for Easter(hopefully). These are adorable! They are so sweet, beautiful job! they are the sweetest looking things ever! wow, wow, wow! thank you guys, very much! 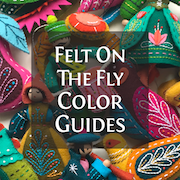 I've already sent some patterns on their merry way across the world. 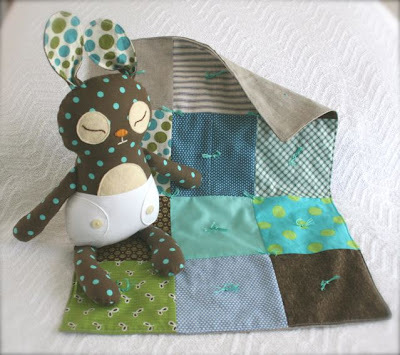 Emedoodle, the pattern calls for a quarter yard for the body and an eighth of a yard for the diaper, but i'm sure you could make do with less than that. 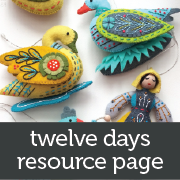 No huge stash needed, most of it can be put together from scraps, and the binky doesn't have to be more than two different fabrics. Hope this helps! Wow - they look amazing. Admiring your patchwork blankets too... after all the agony I have been through with my first quilt... I think I will try your idea! So so so cute!! I love them from the tip of their floppy ears to their soft little feet! Exceedingly cute! And I don't usually feel that way about softies. possibly the cutest thing ever! 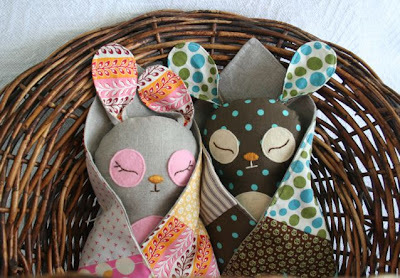 Involving my three loves Plush, Quilting and Easter gifts! tooooooo cute! these are sooooooo cute! you really do make the prettiest softies! I just love them! Thank you thank you again, everybody, for your sweet words, and for the support! Cute, cute, cute!! And such gorgeous fabric combinations, gorgeous colours, just total gorgeous-ness all round!! How talented are you! They're so cute! oh oh oh! they're so cute in their tiny little diapers! must go to your etsy store. now. must make bunnies. These bunnies are just darling-you are quite the artist. Thanks for sharing your beautiful work. Beautiful work. Those bunnies are so cute! Oh,my, gosh. I just found your site (through whip up). I have to make that sleepy bunny! Thank you for being so goodness and afford the opportunity to win a Bunny LINDO! Have I'd love between my arms and be able to provide any of my four children! LIVE IN ARGENTINA BUT IF I PAY THE FREIGHT EARNED! BIG KISS FROM A VERY CLOSE AND FAR AWAY AT THE SAME TIME! oh my, tht is the cutest bunny softie I have ever seen! So lovely. These have got to be the very cutest little bunnies I have ever seen! Thank you for sharing this great project! I love them!! Hi Larissa! I'm linking to this post tomorrow... hope you are doing well! have you guys made one of these?